After another year which saw a number of high-profile UK projects fail to be completed on time, is this the year finally for real change and for those leading the charge on infrastructure to look elsewhere for innovation? Start-ups filled with some of the brightest minds across the country are using the latest technical advancements to provide solutions and answers to an industry which still falls behind its competitors when it comes to productivity and embracing new ways of working. 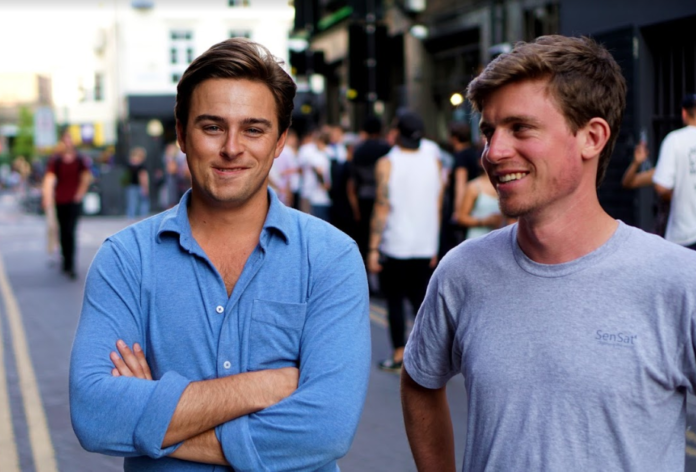 One such example is London-based start-up, Sensat, founded by James Dean and Harry Atkinson, in May 2017. 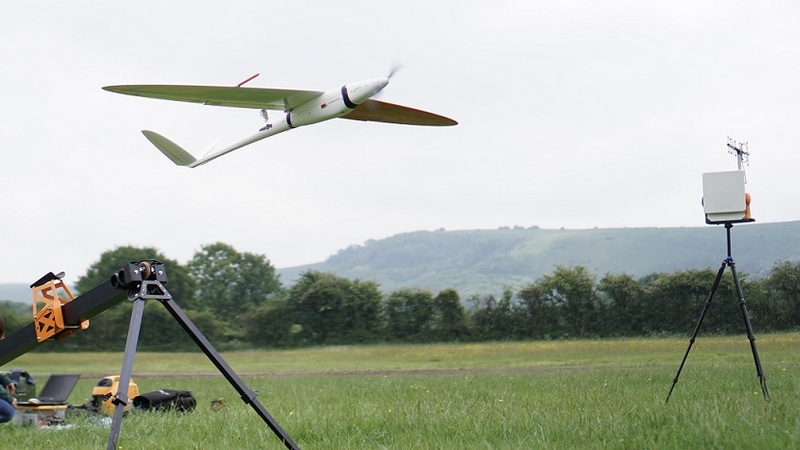 Over the last year they have been involved in delivering one of the largest strategic unmanned air vehicle surveying jobs in the UK across the entire phase one route of HS2. Using autonomous mapping drones, the team has produced digital topographical surveys of the proposed rail line and with a corresponding data set made up of 18.4 billion data points and could therefore boast visuals of the terrain that can be more than 100 times more accurate than satellite data. Not only were the team able to shave off time by negating constant landowner engagement, but they could also produce cost savings, reach areas thought to be inaccessible before and take workers off site where potential health and safety hazards may have been. What typically would have required 470 individual drone flights to map 147km, instead took just 47 individual flights. Starting out on their venture, Dean, CEO of Sensat, says he never had a particular client or business case in mind. He just wanted to show that the technology was there and believes only by proving such advantages will the uptake improve. Once the data is captured, clients can then use SenSat’s simulated reality platform, Mapp®, which has supported many civil infrastructure projects for dozens of tier one clients such as Jacobs, Costain, Atkins, Kier and Mott MacDonald. The technology is said to turn complex visual and spatial data into “real-time simulated reality” designed to enable computers to solve problems and understand the physical world. "This is by far probably the largest drone data capture exercise in the world, so a lot of co-ordination went into it operationally and in terms of planning and executing." The cloud-based technology allows companies to operate in physical domains, providing them with a deeper understanding of how things are progressing on the ground which the founders refer to as “visual intelligence”. But vital to the process has been Sensat’s ability to fly their mapping drones 12km beyond visual line of sight, compared to the standard permissions which only permit drone flights up to 500m from the pilot, whilst maintaining direct visual contact. The tech-savvy workers have been able to do this thanks to a special dispensation that was granted to them by the Department of Transport. This came about back in 2016 when Amazon came to the UK and wanted to test air deliveries via drones after being denied by the US government. An exemplary safety record played a big part in Sensat being selected for a two- and half-year licence in the field of infrastructure for flying outside of the usual permissions. Using unique operating permissions, theoretically drones could cover over 23km per day and complete an aerial survey of the HS2 rail line first phase in just seven flights, to an accuracy of 30-50mm and a 200m width. However, with no time specific time needs, they were able to take it a bit slower. Commercial opportunities are part of the reason for Sensat’s focus on big infrastructure projects with highways its biggest market so far. The man at the helm of Sensat points to the fact that construction lies pretty much bottom of the pile when it comes to innovation and ranked against other sectors. “As a sector it has seen a 0% productivity increase since 1970, meaning there are lots of opportunities for automation,” Dean says. The start-up boss now feels like the onus is on more companies like Sensat to present the positives of digitalisation, so they too can help big civil infrastructure projects in the UK stay on time and on budget. “While digitalisation can deliver immediate returns on investment, the latest technologies also ushers in a new way of working which overall means there is a lot more transparency and consistency and I believe both are crucial for major projects,” said Dean.